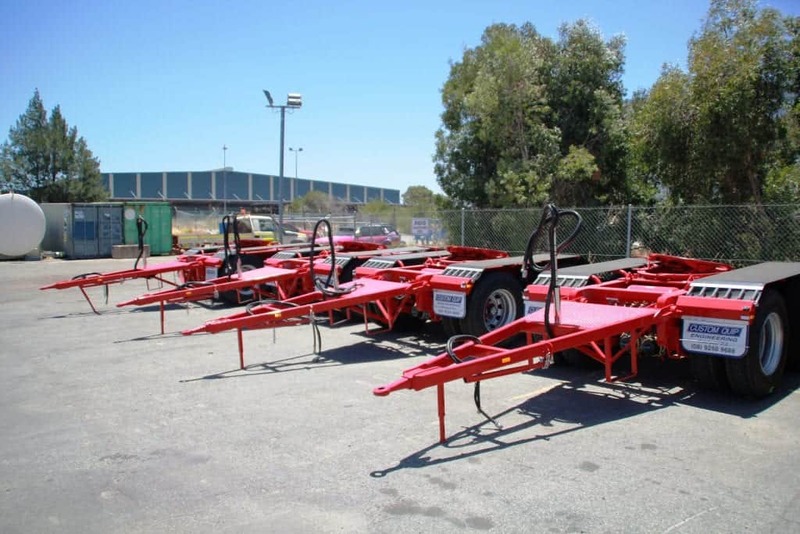 Dollies added to your road trains improve stability on highways, minimise corner cuts and give you or your drivers the extra control they need to get the load where it needs to be. 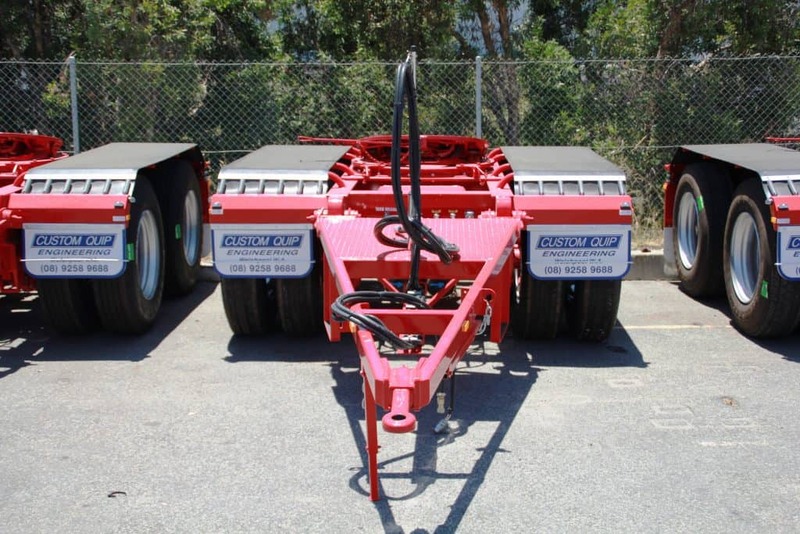 Custom Quip Engineering have been working with the freight business of Western Australia for over twenty years, and all our dollies are made to or beyond the highest Australian standards. When we design your custom transport equipment or any of our products, we only use the highest-grade materials and select the toughest components. 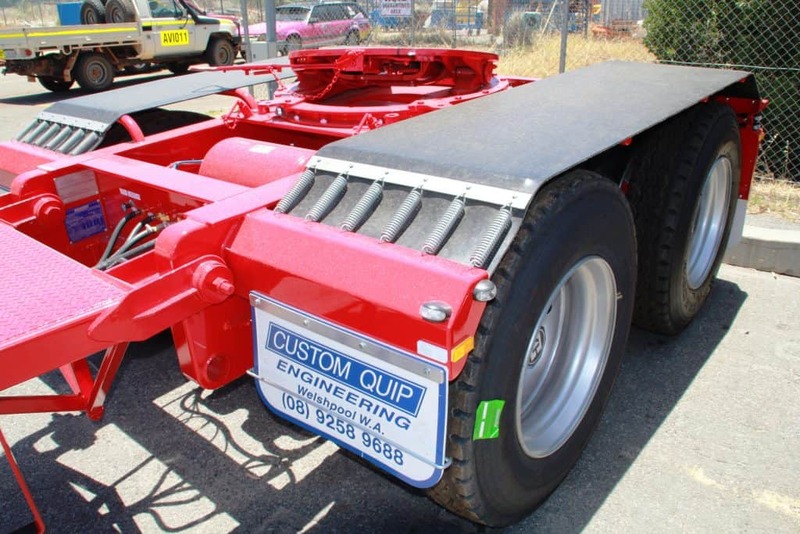 When combined with Perth’s best customer service, workmanship that can only be learnt from over twenty years of experience, and local knowledge of Western Australian conditions, Custom Quip Engineering is the only choice for your next piece of freight transport infrastructure. WHY CHOOSE A CUSTOM QUIP ENGINEERING DOLLIE? 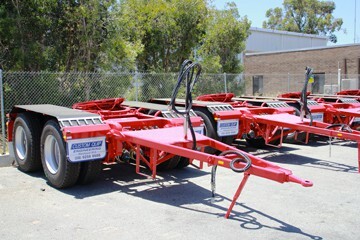 Like all our other freight and logistics equipment, our dollies are designed in Western Australia, for Western Australia. 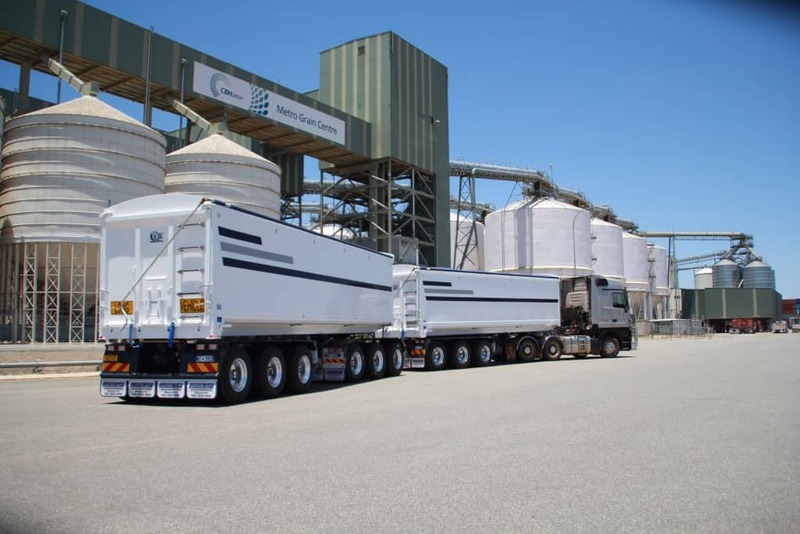 If you are looking for freight equipment to survive the harsh environment of the Pilbara, or deep in the desert, Custom Equip Engineering manufactures the custom trailers in Perth. We can custom design and build dollies to your height, weight and reliability requirements, in any configuration you need. 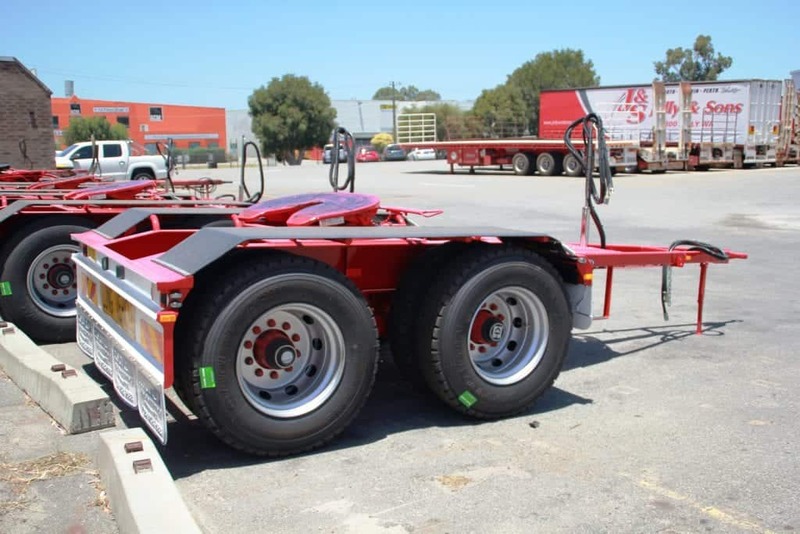 Our recommended Dollie configurations for road train work are either tri-axle or tandem, depending on the weights of your trailers and the nature of your load. All our trailers, dollies, or other equipment are rigorously tested against some of the harshest conditions, all to ensure you get the highest possible quality and the most reliable equipment money can buy. We understand the Western Australian conditions because we have lived them. All our products are fully designed and manufactured right here in Western Australia, and we pride ourselves in our impeccable record of meeting agreed delivery schedule. Even after twenty years, we continue to look for ways to improve on the already exceptional design and reliability. If you are ordering custom work, why not include a special feature in the design? To make the dollie as useful as possible, a number of convenient storage spaces for tools or other important items are included in the design. 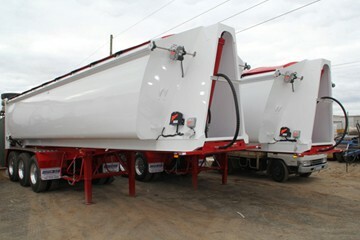 We paint all our trailers after sandblasting to give the toughest, paint job possible. All lighting is wired with high-performance Hella LED systems, all compliant with dangerous goods specifications. 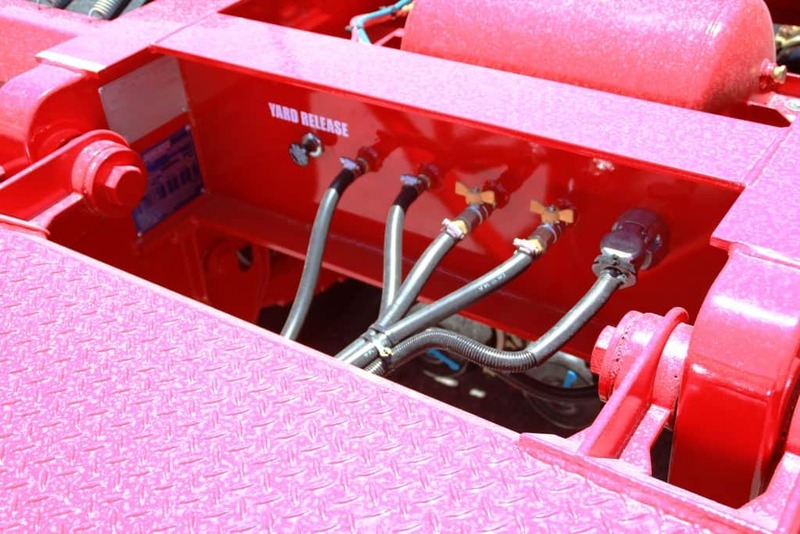 For the most reliable heavy load brake system on the market, we only provide our equipment with Westinghouse brakes. 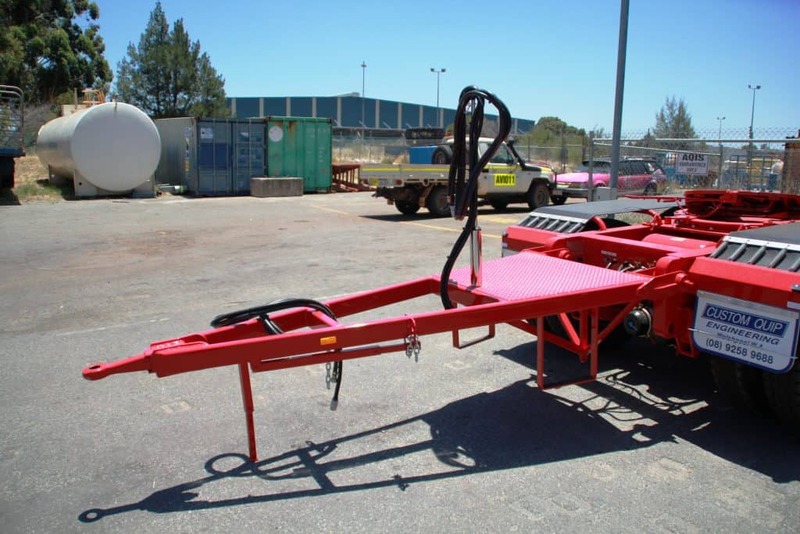 If you value local knowledge of conditions, local manufacturing and the heavy load equipment designed for the harshest of the Western Australian landscape, Custom Quip Engineering has the perfect design solution for you. 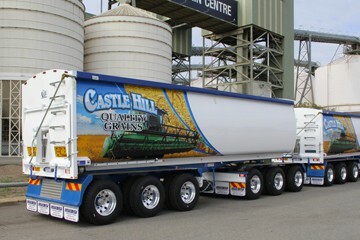 Call us today for a quote on your specific transport design requirements, and treat yourself to the best of Australian freight design.